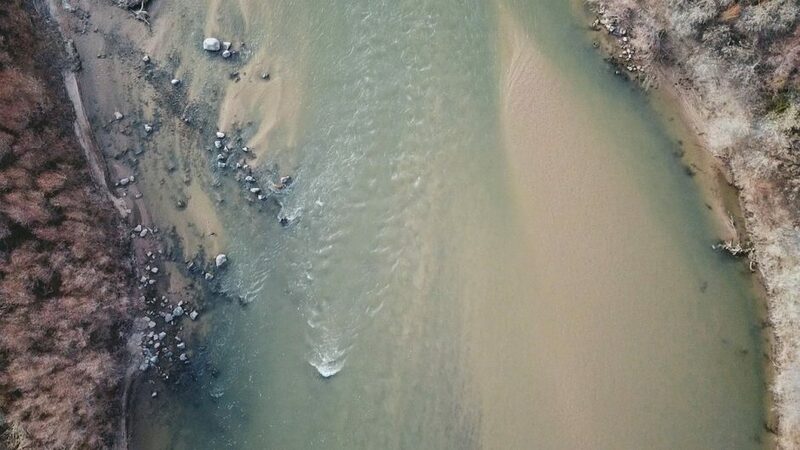 "Displaced Horizons" is a collaborative multimedia performance focusing on water infrastructures’ socio-cultural and historical complexities to encourage a re-visioning of current water systems in order to imagine and implement alternatives. The project attends to water systems, such as dams, acequias, arroyos, and rivers, to bring to the fore often-overlooked technological entanglements. The improvisatory and participatory structure of the work resists practices that view water as an abstract resource and instead animates our subjective experiences of water in the landscape. By dispersing video and music throughout the space, the audience is invited to move freely over the course of the two-hour performance. Our aim is for this multiplicity to obscure an all-encompassing experience and invite a uniquely aesthetic and experiential reorientation, making visible the values in the infrastructures of water. Displaced Horizons is part of Currents New Media Festival and SITE Santa Fe, as part of their Sound and Spectacle series. Co-Produced by Terra Incognita: http://terrancgnt.org, with financial support from the Holtz Center for Science and Technology Studies at the University of Wisconsin-Madison.